The lines between who manages what when it comes to Data Platform technologies are blurring, and the role of the DBA is evolving. Are the data management skills and techniques that DBAs have used over the past decade still applicable or do we need to update our thinking and look at how we manage our Data Platforms with fresh eyes? In this webinar, John Martin shares the top 7 things a DBA needs to know to manage a modern Data Platform solution. He will cover key skills, technologies, and useful applications that help ensure that data is secure and that systems perform at levels that are acceptable for end users. John (@SQLDiplomat) is a Product Manager at SentryOne, working on the data DevOps solutions. He has more than a decade of experience working with Microsoft SQL Server and Data Platform technologies and seeing first-hand how they should and should not be used. John’s main areas of interest are High Availability, security, and system performance. 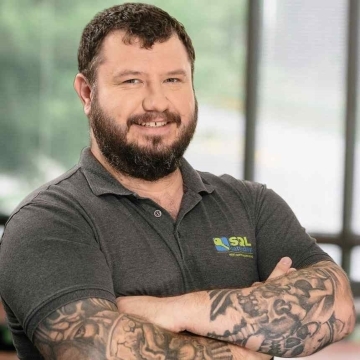 Having worked as a DBA, Database Developer, Business Intelligence Developer, and a Microsoft Premier Field Engineer (PFE), John has had the opportunity to engage with customers, large and small, in many different industries. John is also a Microsoft Data Platform MVP and Director-at-Large for PASS.